One problem creates grumpy pet parents more than everything is a dog who won't sleep waking everyone up at night. A restless doggy can lead to their owners being woken up for various reasons in the middle of the night. 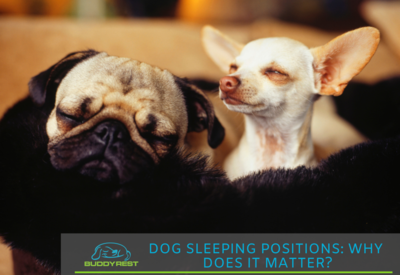 In this article, I will cover a couple of reasons a dog may be waking up in the middle of the night and ways to get a puppy to sleep through the night. If you've ever wondered how to get your dog to sleep through the night you've come to the right place! 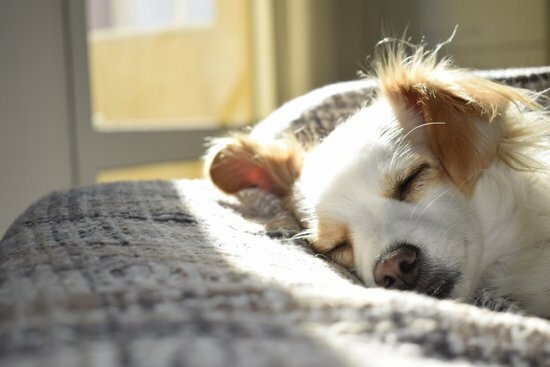 There are plenty of reasons your furry friend may not be getting a good nights sleep and each of these is easily handled if done properly. Some dogs may suffer from something more severe which is why you should let your veterinarian know as they may be able to help out further. If you don't believe your dog is suffering from one of the problems listed below we recommend getting an appointment with the vet. When nature calls you've gotta go and this is one of the leading reasons dogs don't sleep through the night. If your dog frequently needs to pee in the middle of the night they are one of many others who can’t control their bladder waking up their pet parents to go outside. Another reason dogs get restless at night and don't sleep through the night due to being mentally and physically energetic. Your dog is most likely having this problem if they are up playing with their toys squeaking while you are trying to get some sleep. Some dogs can have a problem much like humans where their fears and worries from the day cause anxiety while they try to sleep. These dogs can be facing things like separation anxiety and paranoia while trying to sleep. These dogs can show many reactions that keep them up at night. The last reason why a dog may not be sleeping through the night we will cover is the comfort of your dog. This does not mean they are uncomfortable per se but rather that their sleeping arrangement may be something different than what they need. These dogs will often be moving around all through the night and may even sleep on the floor to cool down. In this section, I will cover how to handle each of the problems above and if all of these methods are combined you know your dog will be getting the best nights sleep they can. If your dog is one of the many that needs to pee throughout the night there are a few options you can try to help your own sleep schedule. The first is to make sure your dog pees before they get into bed. Some dogs may need to pee hours before bedtime before you get ready to sleep and then again after. Another way to deal with these dogs though it will not work for every lifestyle is to have a doggy door of some sort where your dog can go in and out for potty breaks as they need to relieve themselves. Some dogs are so pent up when its time for bed that they can't fully get to sleep or they can but wake up multiple times throughout the night. For these dogs, the best idea is to make sure they are getting enough active time throughout the day either playing or exercising. The best plan is to go on a long walk then play with some of their favorite toys up until bedtime. This will make sure they are getting all their energy out. If you don't have time for a walk you can always get a dog walker to help Fido get plenty of exercises. One thing that can keep a dog awake at night is anxiety which can be hard to deal with even during the day. Luckily there are things you can do to help and these options are becoming more and more popular every day. 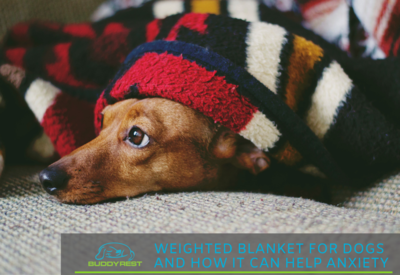 First is what is known as a weighted anxiety blanket for dogs which creates DTP and essentially mimics a mother dog giving that comfort from a hug. 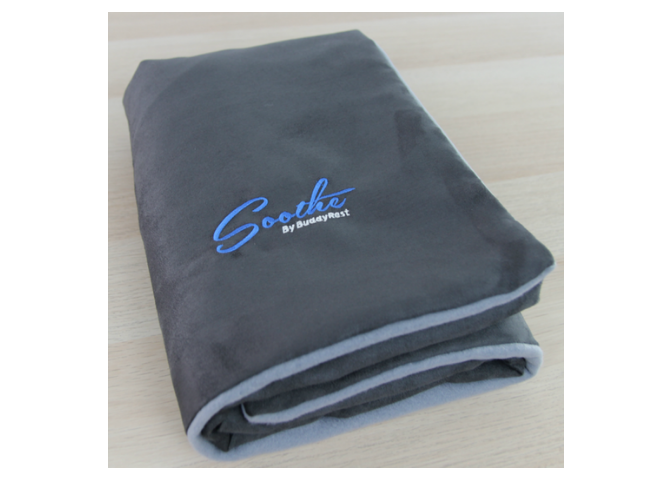 This works through the chemicals in the brain which is identical in both a hug and while using these weighted blankets. Another option is to give your dog CBD oil for their anxiety which is becoming one of the fastest growing holistic options for many ailments. CBD does its magic through what is known as the endocannabinoid systemwhich is found in nearly every mammal. This endocannabinoid attracts CBD through receptors and sends it throughout the body wherever needed. The last thing to ensure your dog has the best night sleep possible is by creating comfort for them. There are many ways to do this depending on the situation at hand for any given dog. The first problem we will address is heat, some dogs just get hot so they need to move to a part of the floor where they can have a sleeping area cool enough to be comfortable. For these dogs avoid putting blankets over them and make sure their dog bed or other sleeping areas isn't a heat conductor. Sometimes your dog may just not be comfortable in the area they are in, for these dogs it can actually be beneficial to go through crate training. If you can train your dog to sleep in a crate it will give them a sense of security due to the fact that dogs genetically are den animals. This can be hard sometimes as dogs can be reluctant to sleep in their crates in the early stages of life. A good dog bed in an ideal location will most likely be the best bet to allow your dog to sleep peacefully throughout the night. 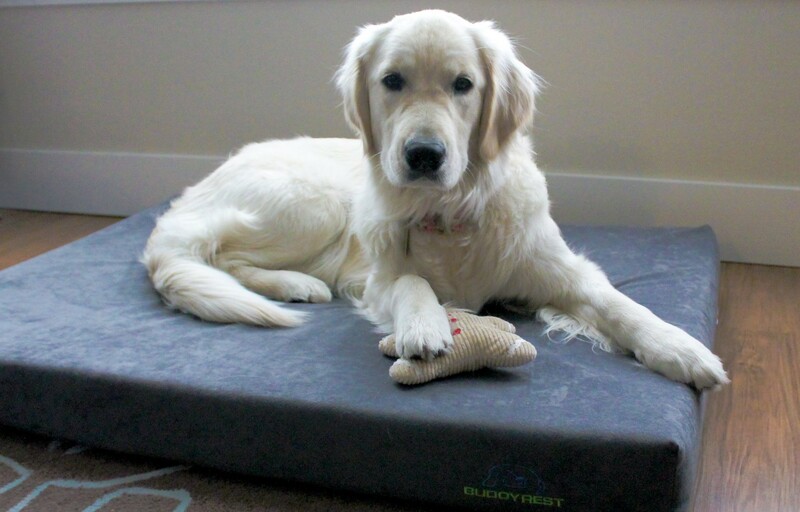 Buddy rest dog beds have everything your dog might need to get through the night problem free. Our orthopedic dog bed line has top quality memory foam with a true cool layer which makes sure your dog won't overheat through the night. These beds also feature state of the art covers which have a waterproof, antibacterial, and stay clean material. If you are interested in finding out more feel free to click the button below! I hope this article has helped solve the problem on how to get your dog to sleep through the night. By trying all of these methods your dog should be just fine sleeping through the night allowing you to literally rest without worry. If you found this article useful feel free to share it with others so they can get this amazing information. It can be frustrating having a dog that doesn't sleep through the night but now bedtime should be a time of peace and happiness for all. 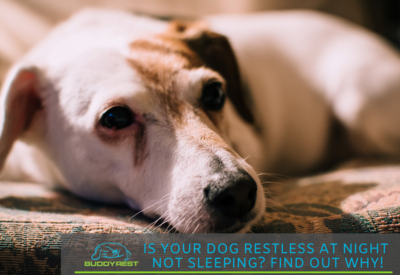 BuddyRest was founded on the idea of supporting older dogs and based our first products on helping joint pains in dogs. 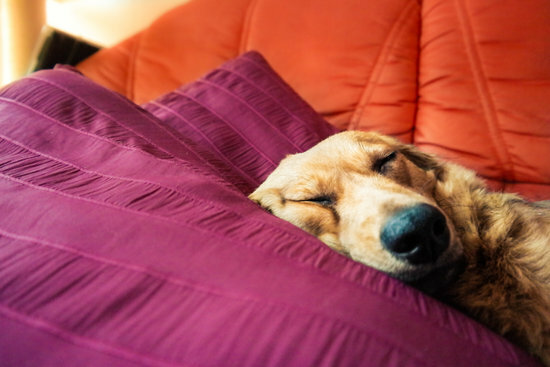 We know dog sleep science and hope this blog helped you out!